Well, I was just thinking, and I came up with, “don’t have two-quintillion(yes, it is a word) two sentence chapters hanging around”. “Emma!” Rachael shouted. Emma came over. “What?” “The sun is up!” Rachael said. “Emma!” Rachael peered over the tops of hills, just in time to see Emma making her way over, holding her coat in one hand, and Rachael’s hat in the other. Rachael sprinted over to her, a smile on her face. “What?” Emma shouted over the wind. “The sun is up!” her sister called back. They were both smiling now. Emma looked happier than Rachael had seen her. h e r w a y o v e r , h o l d i n g h e r c o a t i n o n e h a n d , a n d R a c h a e l ‘ s h a t i n t h e o t h e r .
t h e w i n d . ” T h e s u n i s u p ! ” h e r s i s t e r c a l l e d b a c k . T h e y w e r e b o t h s m i l i n g n o w .
E m m a l o o k e d h a p p i e r t h a n R a c h a e l h a d s e e n h e r.
So. Short Chapters. Make them longer by adding detail. Elizabeth Maybelle Evaliana Smithsonian from California stepped out of the fog and gave Bella a sad look. “What, Elizabeth Maybelle Evaliana Smithsonian from California?” Bella asked. “The town is convinced the queen is still on their side,” said Elizabeth Maybelle Evaliana Smithsonian from California. “What did you do?” Bella demanded. “Nothing.” Elizabeth Maybelle Evaliana Smithsonian from California looked very depressed. “Don’t worry, Elizabeth Maybelle Evaliana Smithsonian from California.” Bella said. “I’ll convince them.” Elizabeth Maybelle Evaliana Smithsonian from California looked doubtful. “Are you sure?” “Yes, Elizabeth Maybelle Evaliana Smithsonian from California. I am.” “But–“Elizabeth Maybelle Evaliana Smithsonian from California started, but Bella cut her off. “Elizabeth Maybelle Evaliana Smithsonian from California…” Elizabeth Maybelle Evaliana Smithsonian from California sighed. “Fine,” she said.”I guess…it might work.” “Okay,” Bella said, suddenly getting a delighted expression on her face. “Come on, Elizabeth Maybelle Evaliana Smithsonian from California,” she said, walking towards Elizabeth Maybelle Evaliana Smithsonian from California’s helicopter. “What?” Elizabeth Maybelle Evaliana Smithsonian from California asked. “You’re coming with me, Elizabeth Maybelle Evaliana Smithsonian from California!” Bella cried, grabbing Elizabeth Maybelle Evaliana Smithsonian from California’s wrist. “We’ll persuade them!” And, together, Elizabeth Maybelle Evaliana Smithsonian from California and Bella took to the sky, Elizabeth Maybelle Evaliana Smithsonian from California flying them. Elizabeth stepped out of the fog and gave Bella a sad look. “What, Elizabeth?” Bella asked. “The town is convinced the queen is still on their side,” said Elizabeth. “What did you do?” Bella demanded. “Nothing.” Elizabeth looked very depressed. “Don’t worry, Elizabeth.” Bella said. “I’ll convince them.” Elizabeth looked doubtful. “Are you sure?” “Yes, Elizabeth. I am.” “But–“Elizabeth started, but Bella cut her off. “Elizabeth…” Elizabeth sighed. “Fine,” she said.”I guess…it might work.” “Okay,” Bella said, suddenly getting a delighted expression on her face. “Come on, Elizabeth,” she said, walking towards Elizabeth. “What?” Elizabeth asked. “You’re coming with me, Elizabeth!” Bella cried, grabbing Elizabeth’s wrist. “We’ll persuade them!” And, together, Elizabeth and Bella took to the sky, Elizabeth flying them. Also, if I’d writ the first Elizabeth Maybelle Evaliana Smithsonian from California thing in the ” l o n g f o r m a t” we’d have some longness on our hands. So (I seem to keep losing our point here) use dialogue to make your story longer. Like my Elizabeth Maybelle Evaliana Smithsonian from California thing. Using dialogue, the characters’ talking makes it longer without (sometimes) contributing to the plot. Imagine that being your name. AAAAAAAAAAHHHHHH!!! See here to read more on villains. Good. Make the villain’s assistant the traitor. Now give them a reason to betray. If you’ve already sent the book in which the above happens out to publishers and it’s published (or in the pile, waiting to be published) tough luck on revising it. Are you writing a book? Well… If you’re writing a book, you haven’t introduced your villain yet, and are still planning the villain out, you have hope. If you’ve made a big deal about, like “the green haired villain will set aside control of the kingdom of her home to help the brave souls who dared intrude upon her kingdom of wonderfully bright, and shiny mowed lawns” and your main antagonist has green hair (and is the only one with it), then change “green” to the color of the assistant’s hair.”The blond haired villain will set aside control of the kingdom of her home to help the brave souls who dared intrude upon her kingdom of wonderfully bright. and shiny mowed lawns” could be there instead. Or brown hair, black hair, red hair, whatever. Now that you have all this down, you should write her/him a scene. Maybe five pages, not much. When you’re finished, read it over and edit and revise it. Finally, give it to someone who’s opinion you trust. Ask them what was good and what was bad. Etc. Maybe write another page. Keep adding until (maybe) you have a whole chapter. I once read a book in whicvh the advice I advised in this post was misused. Guess they didn’t listen to me! Never, ever start a book with “It was a dark and stormy night“. 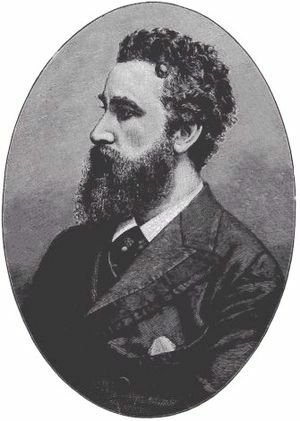 Because that was already used.By Edward Bulwer-Lytton in the novel “Paul Clifford“. It is almost like “It was a dark and stormy night”. The rain was pouring hard when <your character’s name here> arrived home. <name> breathed hard in the darkness as s/he ran through the cave, the torches appearing as streaks of light as s/he ran by. “<name>!” called <name>’s broth/sister as s/he froze in mid-action. “Ouch!” <name> cried, clutching his/her foot in pain. While writing in this POV, you can only access the main character’s thoughts. You can write like you talk. I, me, my, etc are used. If you have trouble with beginnings, don’t do first person. I’m kind of bad at it. Once I read a first person book and I never learned the main character’s name because it was never mentioned. I was going to write “Mangobook” on Cosmic Mango’s World in first person, but I couldn’t think of a start. So… did this help?